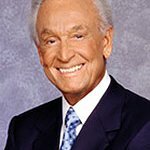 TV host Bob Barker was not happy when he heard a permit to hunt an endangered African black rhino was to be auctioned this weekend, and wrote to the Dallas Safari Club urging them to stop the auction. “I am writing to ask you to call off your planned auction of a chance to kill an endangered black rhino in Namibia,” wrote Barker. "The rhino that your organization reportedly has in its crosshairs is an older “non-breeding” male who has apparently been deemed expendable. As an older male myself, I must say that this seems like a rather harsh way of dealing with senior citizens. “I can certainly sympathize with this animal’s plight (and I would think that many of your older members could as well). How many seniors have been written off simply because they have a certain number of birthdays under their belts? But just because you’re “retired” doesn’t mean you don’t have anything more to offer. In fact, I personally feel that I’ve accomplished a great deal since I quit my day job. Surely, it is presumptuous to assume that this rhino’s life is no longer of any value. What of the wisdom that he has acquired over the course of a long life? What’s the world coming to when a lifetime’s experience is considered a liability instead of an asset? “True conservationists are those who pay money to keep rhinos alive—in the form of highly lucrative eco-tourism—as opposed to those who pay money for the cheap thrill of taking this magnificent animal’s life and putting his head on a wall. The permit was sold for US$350,000, with the Dallas Safari Club saying that proceeds will go towards rhino conservation.